Many members have asked us for ways to get an IPVM membership for a colleague or friend. One of the most frequent cases is integrators wanting to provide it to their customers to help educate them. 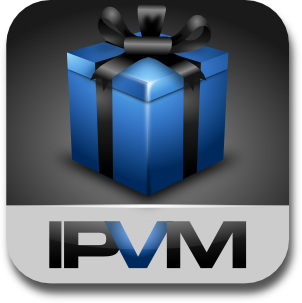 Now you can do so with our new feature - Gift IPVM. Plus, you get a 20% bonus for your own account for whatever you gift. For example, gift a $199 yearly plan and you get a $39.80 credit that automatically extends your current plan's term. Go to the Gift IPVM page, enter the recipient's name and email, add a message and pick a plan. Use your card on file or enter in billing info and you are done. For just $20, you can give a month of IPVM, an option not published on our public plain options. This makes it super inexpensive and, of course, you still get a 20% bonus for your own account. You pay a one time fee, no recurring charges, to gift the membership. If the recipient wants to continue, they can simply add their billing information when the term ends. In less than a minute, you can give IPVM to whomever you want. Try it now - Gift IPVM.